The Berlin International Film Festival begins on Thursday (7th) and brings another edition of the “Books at Berlinale”, a project organized in partnership with the Frankfurt Book Fair, which promotes a pitching for copyright holders to present their works to filmmakers. The session will happen next Monday (11th) at the Berlin state parliament building, the Abgeordnetenhaus. The 2019 edition of Books at the Berlinale has set the record for 160 applications from 30 countries. Of that number, 12 titles were selected for pitching and include professionals from Germany, France, Great Britain, Italy, Netherlands, Norway, Switzerland, Spain, Republic of Korea, Syria, and Turkey. After the session, there will be an encounter for filmmakers, rights holders, publishers and literary agents to get together and talk. In a press release, Dieter Kosslick, co-founder of Books on Berlinale, says he is delighted with the development of the project. 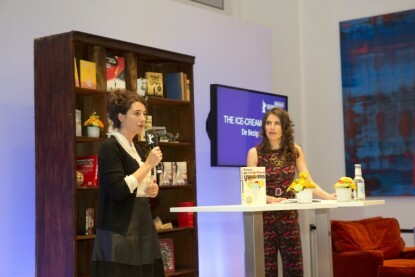 “Our goal was to connect producers to the publishing industry based on a selection of international books that are particularly appropriate. It’s great to see that “Books at the Berlinale” is growing and enjoying increasing popularity”, he said. “The selection consistently includes new releases, bestsellers and award-winning books with a high potential for audiovisual adaptation and once again shows the diversity of the international literary scenario”, says Juergen Boos, director of Frankfurter Buchmesse. Juergen also highlighted one of the titles chosen. “I am particularly pleased that ‘Dance or Die’, a Syrian author’s title, is on display. It is important that moving stories of our time are told in different ways so they reach a large audience”, he added. “Dance or Die,” the true story of Ahmad Joudeh, who kept his dream of dancing despite the war in Syria and threats from extremists. The selection also includes a book from Norway, guest country at Frankfurt Book Fair 2019. The work “Keep Saying Their Names” by Simon Stranger had its rights acquired in 11 languages. The book, presented by the Oslo Literary Agency, won the Norwegian Bookstore Award in November and is a success with critics and audiences.